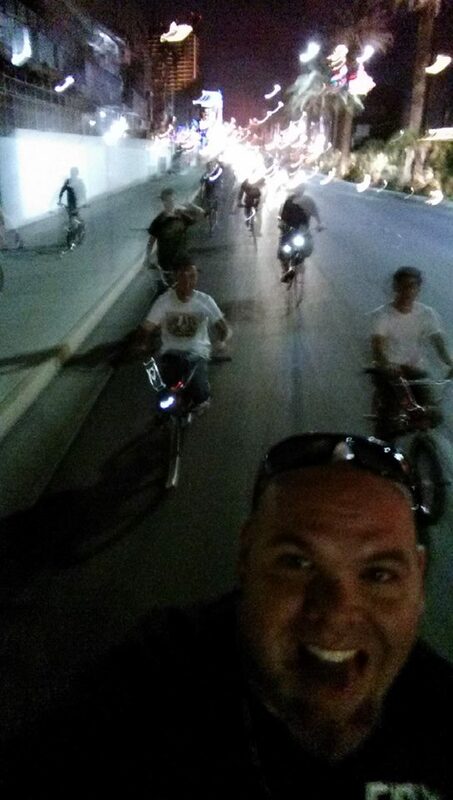 Just as I had suspected, the annual Friday night ride with the 4130 Sin Series crew was one of the highlights of Interbike week. Catching up with old friends, making new ones and going for an exhilarating ride through the streets of Las Vegas is something that never fails to put a smile on my face. With Mike Leonard on the whistle (that’s him in the extreme closeup above) we took off from the Fremont Street area, up to the Las Vegas Sign and then onto a final run through the neon lights of the Las Vegas Strip. 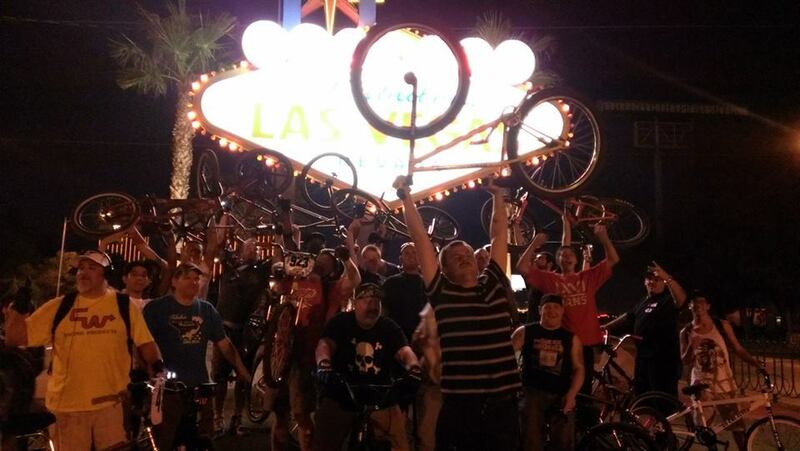 Gotta love the “We are the champions” pose of Patrick Thomas in this photo (in front, bike in the air)…it just shows the stoke factor of these events. Thanks for having me along for the ride guys. I love it man!! What a great night and now I get to relive it thru your words. Thanks man.